Not all margarines are created equally and they’re certainly not all made the same. I am going to take you through the listing of general ingredients that will go into creating quality margarine. Choosing a quality made margarine is ideal for those who wish to live healthier. Most quality margarines and spreads contain more good fats than butter and there are even some varieties that may help you reduce blood cholesterol (like those that contain plant sterols). It is always best to choose a soft margarine that’s in a tub that is labelled one of the following:”vegetable oils based fat spreads”, or”margarine spreads” or”spreads.” Generally speaking these types of margarines contain more good fats, but as always check the food label to be certain. There are lots of stories and myths spread around about margarine and they’re mostly all out-dated rumours. I am here to tell you the margarine true facts and answer the big’what’s margarine?’ Question, so you can make a balanced decision on what is best for the health and lifestyle of your family. Originally developed as a substitute for butter, margarine is a spread that may be used in pretty much every recipe as a substitute for butter which is lower in saturated fats. It’s produced with a blend of different types of plant and vegetable oils from all around the world. 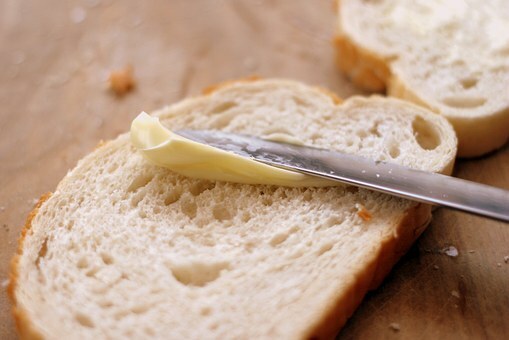 Soft spread margarines usually have fewer calories per serving than you’d normally see in solid fats, such as butter. You can even create your own margarine at home with simple ingredients that you probably have in your kitchen . So why not give it a go? Okay, so what is margarine made of? Margarine is a healthy, tasty means of giving your body the good oils and fats which it needs, but cannot create on its own. Changing to margarine from butter doesn’t mean reducing the flavours in your cooking; in fact, it might mean the exact opposite! Why not try some festive cookies or a hearty winter soup? Making simple switches in your diet can make a huge difference – simply swapping butter for margarine in regular recipes can help maintain healthy cholesterol levels. With today’s extensive variety of flavoursome margarines you won’t notice a change in the flavor!